Tomorrow is election day and in counties, municipal districts, villages, towns, and cities across the province, Albertans will cast their votes for mayors, reeves, councillors, aldermen, and school trustees. With voters in Alberta’s second, third, and fourth largest cities – Edmonton, Red Deer, and Lethbridge – selecting new mayors, there could be a shift in how municipalities interact with the provincial government. With the ongoing war of words between Mayor Nenshi and Municipal Affairs Minister Doug Griffiths, a cast of new mayors could create a new dynamic in municipal-provincial relations in Alberta. In Edmonton, I am supporting for Don Iveson for Mayor. But don’t take my word for it. 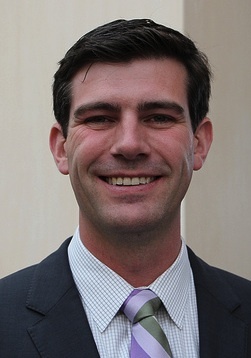 Check out Don Iveson’s ideas for our city and be sure to take a look at what the other candidates are offering. With 6 city councillors not seeking re-election and at least one incumbent in a vulnerable position, there will be some new faces on Edmonton City Council. While there will be many new faces on municipal councils after the votes are counted, there could be some familiar characters returning to the fray. Observers of provincial politics in Alberta will recognize some of these candidates. Fallen Tory titan Ray Danyluk is challenging incumbent Steve Upham to become the next Reeve of the County of St. Paul. Since the former cabinet minister was unseated by Wildroser Shayne Saskiw in the 2012 election, he has become the unofficial government representative in northeast Alberta, hosting traveling cabinet ministers at events and town hall meetings. In Fort McMurray, former PC-turned-Wildrose MLA Guy Boutilier is running for a councillor position on Wood Buffalo’s municipal council, a place where he served as mayor before entering provincial politics in 1997. In Edmonton, former MLA Edmonton-Mill Woods Liberal MLA Weslyn Mather and former Edmonton-Beverly-Clareview MLA Ray Martin could be elected as trustees on Edmonton’s Public School Board. In St. Albert, where anonymous smear groups run rampant, former Alberta Liberal Party leader Bob Russell is aiming for a political comeback. While he was never elected to the Assembly, Mr. Russell served as Liberal Party leader from 1971 to 1974. He later served as an alderman in St. Albert from 1989 to 1992 and 1995 to 2001. In the Village of Wabamum, former Stony Plain Tory MLA Fred Lindsay is running as part of a 3-candidate slate. Running for re-election to Wabamum village council, but not on Mr. Lindsay’s slate, is Bill Purdy, who served as the PC MLA for Stony Plain from 1971 to 1986. Familial relations also cross municipal-provincial lines. Judy Hehr, mother of Calgary-Buffalo Liberal MLA Kent Hehr is running for a spot on the Calgary Board of Education. Strathcona-Sherwood Park PC MLA Dave Quest‘s wife, Fiona Beland-Quest, is running to become a councillor in Strathcona County. 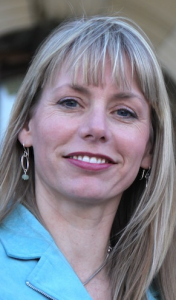 Lethbridge mayoral candidate Bridget Mearns is the daughter of Lethbridge-East‘s Liberal-turned-PC MLA Bridget Pastoor. And in Edmonton, Ward 8 councillor Ben Henderson is running for re-election. Mr. Henderson is married to Edmonton-Centre Liberal MLA Laurie Blakeman. In the City of Airdrie, Jane Anderson, the mother of Airdrie Wildrose MLA Rob Anderson is running for a spot on city council as part of the Airdrie United slate. Mr. Anderson’s brother, Nathan Anderson, is running for re-election as mayor of the town of Crossfield. The appearance of municipal slates in Airdrie and Red Deer could signal the return of partisan style politics in municipal government (slates were common in Alberta’s larger cities until the 1970s and 1980s). This entry was posted in Alberta Politics and tagged Ben Henderson, Bill Purdy, Bob Russell, Bridget Mearns, Bridget Pastoor, Dave Quest, Don Iveson, Doug Griffiths, Fiona Beland-Quest, Fred Lindsay, Guy Boutilier, Jane Anderson, Jon Lord, Judy Hehr, Kent Hehr, Laurie Blakeman, Naheed Nenshi, Nathan Anderson, Ray Danyluk, Ray Martin, Rob Anderson, Shayne Saskiw, Steve Upham, Weslyn Mather on October 20, 2013 by Dave Cournoyer. a wildrose government will need a real opposition. Danielle Smith with Wildrose MLA's Paul Hinman, Heather Forsyth, and Rob Anderson in 2010. Despite questioning climate science and refusing to remove one candidate who railed against a policy to protect sexual minorities in public schools and another who claimed his skin colour as a political advantage, Danielle Smith‘s Wildrose Party appears set to form a government after April 23. If the Wildrose Party does succeed in electing enough MLA’s to form a government next Monday, unseating the 41-year governing Progressive Conservatives, Albertans should be asking themselves about which parties are best positioned to form effective opposition over the next four years? This election is as much about a change of government as it is about a change of opposition parties. The PCs have governed the province since Peter Lougheed led that party to its first victory in the 1971 election. 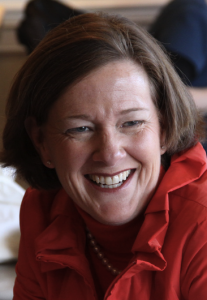 Behind in the polls for the past three weeks, Alison Redford‘s PCs have begun to quietly urge non-conservative urban voters to cast strategic votes for their party to block the chances of the Wildrose Party forming a government. With six days left in the election campaign, it may be too late for the PCs or urban voters to block a Wildrose government. After four decades in government, there may be no one left in the PC Party who remembers what it is like to be an opposition party (or may no longer have an interest in supporting that party in opposition). As a conservative opposition party it is also unclear what policy differences it could present to contrast itself with a similarly conservative governing party. As a new website launched today reminds voters, the PC Party also has its share of MLA’s with extremist social conservative views. The survival and success of the PCs as an opposition party may entirely depend on which Tory MLA’s are elected on April 23. Voters who want more than two conservative voices in the Assembly should ignore the calls for strategic voting and cast their votes for the candidates and parties who best represent their views. 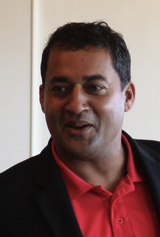 The Alberta Liberals, led by former Tory MLA Raj Sherman, have presented a good platform that focuses on health care, education, municipalities, and touches on controversial issues like tax increases. From an experience standpoint, the Liberal Party’s slate of candidates includes a number of former MLAs, including Mo Elsalhy, Weslyn Mather, Bruce Miller, and Rick Miller, who served in the opposition benches from 2004 to 2008. Unfortunately for the Liberals, being the official opposition since 1993 has not translated into their becoming the next government and the ingrained historical hostility felt by many Albertans towards the party suggests its chances of long-term growth are limited. During this election campaign the NDP led by Brian Mason has focused on skyrocketing utility costs, taking a friendlier position towards resource development, and expanding and protecting public medicare. The NDP are in a good position to make gains in Edmonton. 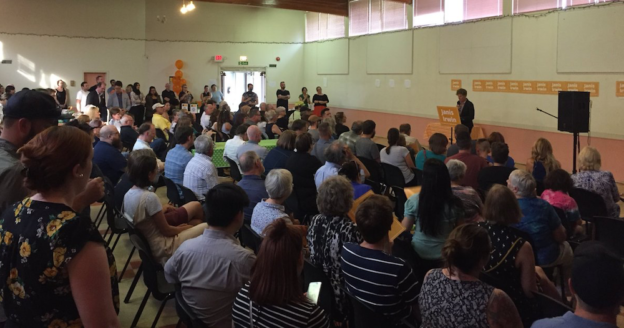 A number of NDP Members of Parliament, including Olivia Chow, Jack Harris, Niki Ashton, and Peter Julian are making campaign stops in the province during the final week of the election. As an opposition party, the NDP would certainly provide Albertans with clear policy differences from both the PC’s and the Wildrose Party. Over the next four years, the Alberta Party may be in the best position to help build a real centrist-progressive alternative to a Wildrose Party government. Despite having never elected an MLA, the party has been punching above its weight during this campaign in terms of organization and media coverage. The question will be whether the party can survive as a political movement if it does not succeed in electing an MLA. Candidates like community organizer Michael Walters in Edmonton-Rutherford and former school trustee Sue Huff in Edmonton-Glenora have been running strong local campaigns, which could produce some surprising results on election day. Last weekend, more than 100 Alberta Party volunteers delivered flyers to 5,500 homes in Edmonton-Rutherford in less than an hour. This entry was posted in Alberta Politics and tagged Alison Redford, Brian Mason, Bruce Miller, Danielle Smith, Jack Harris, Michael Walters, Mo Elsalhy, Niki Ashton, Olivia Chow, Peter Julian, Peter Lougheed, Raj Sherman, Rick Miller, Sue Huff, Weslyn Mather on April 18, 2012 by Dave Cournoyer. 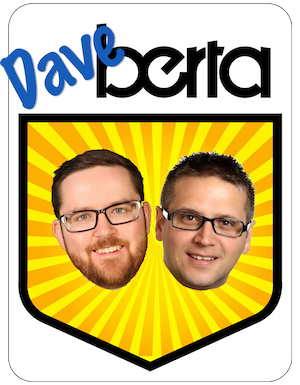 alberta election day 2: health care, balanced budgets, and benitomania. Premier Alison Redford with PC candidates John Barlow and Evan Berger (photo from Alison4Premier Facebook Page). Campaigning in the same constituency yesterday, it is interesting to wonder what Premier Alison Redford and Wildrose Party leader Danielle Smith would have said to each other if their paths had intersected. Close polls, push polls, and sharp criticisms have defined the first two days of Alberta’s 2012 election campaign. Premier Redford was in Highwood campaigning with Progressive Conservative candidate John Barlow, who faces the daunting task of keeping the high-profile Ms. Smith out of the Assembly. Campaigning in southern Alberta yesterday, Ms. Smith released her party’s pledge to table balance budgets. Under the Wildrose platform, future government spending would be limited to population growth plus inflation. Despite Wildrose Party assurances that they would not launch into a round of drastic service cuts if they are elected, I cannot help believe that a government led by Ms. Smtih would do anything but. Health care was the focus of the second day of the election campaign for the NDP and Liberals, as both parties leaders unveiled parts of their platforms. NDP leader Brian Mason and Edmonton-Calder candidate David Eggen (photo via @johnalanashton). In the north end constituency of Edmonton-Calder, NDP leader Brian Mason joined candidate and former MLA David Eggen to announce that his party would create 1,500 long-term care beds, cover dental costs for Albertans under the age of 18, and bring down the cost of prescription drugs through a new provincial pharmaceutical plan. Mr. Eggen was the MLA for this constituency from 2004 until 2008, and since then has served as the executive director of the Friends of Medicare. On the day the election was called, Mr. Eggen’s campaign team flexed their organization muscle by placing more than 1,100 lawn signs on private property across the constituency, painting Edmonton-Calder orange. Raj Sherman campaigns in Calgary (photo via @alanacbaker). In Calgary yesterday, Liberal Party leader Raj Sherman reaffirmed his party’s commitment to increase funding to build and operate more long-term care beds and facilities. Joined by a medical doctor and a retired health care worker, Dr. Sherman continued to call on Premier Redford to fulfil her promise to hold a judicial inquiry into doctor intimidation. Today, the Dr. Sherman will travel to Red Deer to make another health care related announcement at the campaign office of Red Deer-North candidate Michael Dawe and Red Deer-South candidate Jeff Chilibeck. Focusing on health care is a smart strategy for the Liberals, who are seen as strong on this issue, yet have slipped in the polls over the past four years. It gives the party an opportunity to contrast itself with the PC’s, whose poor management has created many of the staffing problems faced in the health care system, and the Wildrose Party, which would introduce a “hybrid” or “European” model of health care. It is suspected that the Wildrose model would include the introduction of private medical insurance. Meanwhile, in Lethbridge, interesting contests are shaping up in both of that city’s constituencies. As first predicted on this blog on February 24, former Edmonton-Mill Woods Tory MLA Carl Benito is entering this election as an Independent candidate. Campaign-like signs began to appear on fences near major intersections in the constituency in late February. The controversy–prone Mr. Benito was first elected in 2008 and lost his party’s nomination to Sohail Qadri. Mr. Benito will face Mr. Qadri, former Liberal MLA Weslyn Mather, NDP candidate Sandra Azocar, Wildroser Joanne Autio, and Alberta Party candidate Robert Leddy. This entry was posted in Alberta Politics and tagged Alison Redford, Brian Mason, Carl Benito, Danielle Smith, David Eggen, Evan Berger, Jeff Chilibeck, Joanne Autio, John Barlow, Michael Dawe, Raj Sherman, Robert Leddy, Sandra Azocar, Weslyn Mather on March 28, 2012 by Dave Cournoyer. return of benitomania. will carl benito run as an independent in the upcoming election? 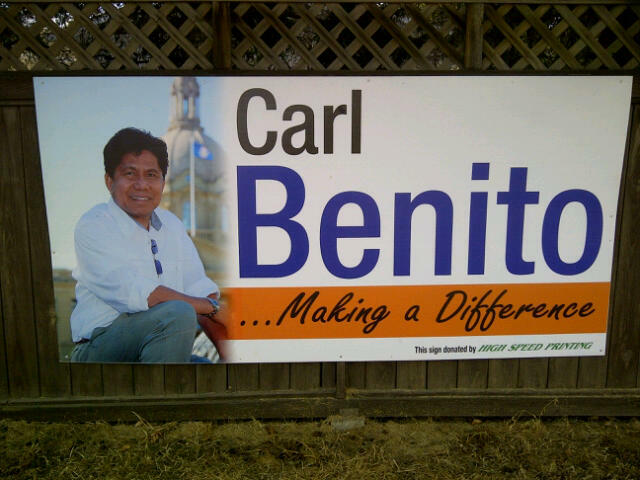 Sign supporting MLA Carl Benito on the corner of 34th Avenue and Mill Woods Road. 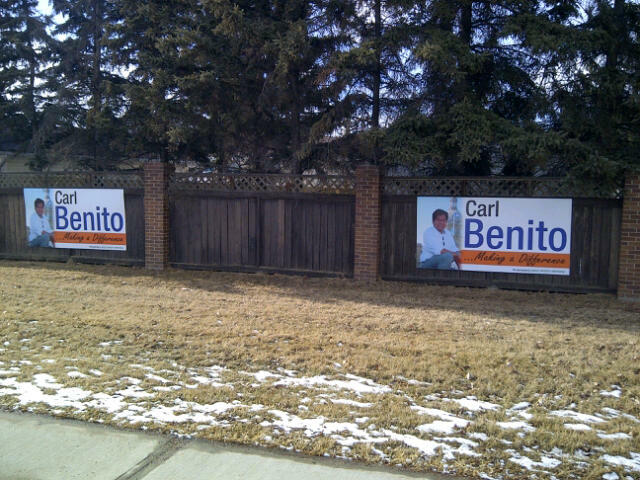 Signs supporting MLA Carl Benito on the corner of 34th Avenue and Mill Woods Road. A reader of this blog spotted these two signs yesterday morning on the corner of 34th Avenue and Mill Woods Road in the constituency of Edmonton-Mill Woods. Progressive Conservative MLA Carl Benito, who spent much of his first-term in office defending self-inflicted controversy, was defeated by Sohail Qadri in a tense battle for his party’s nomination. While most politicians in his position would quietly move out of the spotlight, are the sudden presence of these signs a signal that Mr. Benito’s name could show up on the ballot as an Independent candidate in the upcoming election? The signs note that they are donated by “High Speed Printing,” which means that they were likely not paid for through constituency office funds. While the opposition parties were hoping that Mr. Benito’s name would on the ballot as the PC candidate, a run as an Independent candidate could lead to interesting results. In 2008, Mr. Benito became the first PC MLA to be elected in this constituency since 1982. Voters in this constituency elected Liberal MLAs to represent them in the Assembly from 1993 until 2008. Former Liberal MLA Weslyn Mather has been nominated to carry her party’s banner into the election, the New Democrats have chosen Alberta Union of Provincial Employees Vice-President Sandra Azocar, and Joanne Autio is the Wildrose candidate. This entry was posted in Alberta Politics and tagged Carl Benito, Joanne Autio, Sandra Azocar, Sohail Qadri, Weslyn Mather on February 24, 2012 by Dave Cournoyer. in alberta politics, what once was old is new again. “In April 2008, St. Albert PC MLA Ken Allred introduced a Private Member’s Bill, Bill 203: Election Statutes (Fixed Election Dates), in the Legislative Assembly of Alberta that would have created fixed-election dates in our province. The Bill received very little public debate in the Legislature and was opposed by MLAs in the PC caucus, including Olds-Didsbury-Three Hills MLA Richard Marz, who argued to the media that fixed-election dates would allow public sector unions to strike in conjunction with elections. Now it is November 2011, the Progressive Conservatives are still in office, Premier Ed Stelmach is gone, Premier Redford is in, Mr. Marz is retiring, Mr. Allred is being challenged for the PC nomination (and may retire), and Alberta might get fixed-election dates. The Alberta Liberals announced with a gleeful media release this week that Alex MacDonald would be joining their caucus staff as a part-time strategist. Political watchers may remember Mr. MacDonald as the Chief of Staff to former Edmonton Mayor and Liberal Party leader Laurence Decore in the 1980s and early 1990s. Also biting into Dr. Sherman’s “new Liberals” narrative is the nomination of five former one-term MLAs as his party’s candidates in five potentially winnable constituencies – Mo Elsalhy in Edmonton-McClung, Bharat Agnihotri in Edmonton-Ellerslie, Weslyn Mather in Edmonton-Mill Woods, Rick Miller in Edmonton-Rutherford, and Bruce Miller in Edmonton-Glenora. Some of these are good candidates, but certainly not new. A new face in the next election, Wildrose leader Danielle Smith has floated in conservative political circles since the 1990s and two of her party’s four MLAs have been in the Assembly for more than a decade. The “nascent” or “rookie” Alberta Party has existed in various forms since the 1980s and their leader Glenn Taylor ran for the NDP in the 1997 election. Refusing to believe that new will ever be old or old will ever be new, the New Democrats have put a fresh face on an veteran politician. 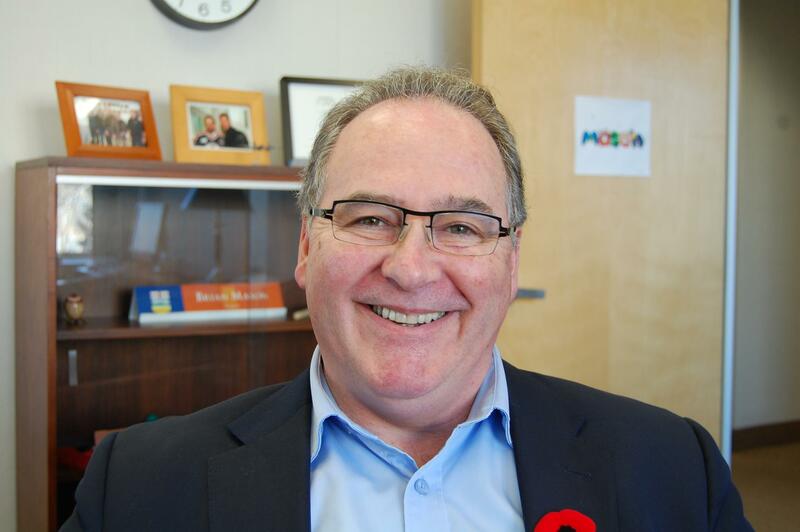 NDP leader Brian Mason has a fresh face – at least for the short-term – as he has shaved his mustache for Movember to raise awareness about prostate cancer. Mr. Mason has told the media that his trademark cookie-duster will return, meaning that once again, old will be new again. The new face of Alberta NDP leader Brian Mason (sans mustache). This entry was posted in Alberta Politics and tagged Alex MacDonald, Alison Redford, Bharat Agnihotri, Brian Mason, Bruce Miller, Danielle Smith, Ed Stelmach, Ken Allred, Laurence Decore, Mo Elsalhy, Raj Sherman, Richard Marz, Rick Miller, Weslyn Mather on November 4, 2011 by Dave Cournoyer. As the contests to replace the leaders of the governing Progressive Conservative Party and the Opposition Liberal Party and new Alberta Party grab the media spotlight, political parties have been quietly nominating candidates for the next election. I have been keeping track of the nominated and declared candidates across the province and this post focuses on the candidates stepping up to stand for election in Edmonton. There is little reason to believe that constituencies in Edmonton will be any less competitive than they have been over the past 25 years and the rise of the Wildrose Alliance in public opinion polls will certainly effect the electoral environment in ways that we have not seen in previous elections. 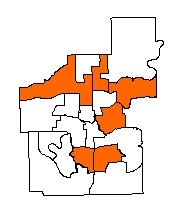 Edmonton ridings with nominated NDP candidates (as of March 1, 2011). Former MLA David Eggen has secured the NDP nomination and will attempt to win back the constituency that he represented from 2004 to 2008. The boundary changes presented in the interim report of the Electoral Boundaries Committee convinced Mr. Eggen to initially seek his party’s nomination in neighboring Edmonton-Glenora, but the final report’s boundaries shifted key neighbourhoods back to his former constituency. The incumbent MLA, PC backbencher Doug Elniski, defeated Mr. Eggen by 201 votes in 2008. An amiable guy, Mr. Elniski has suffered from a few unfortunate public mis-speaks in his first term. 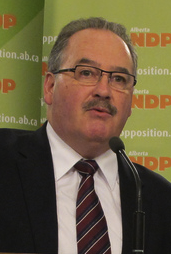 Calder may be the truest “swing-riding” in Alberta, as it has been represented by PCs, New Democrats, and Liberals since 1986 and in the same time only twice re-elected an incumbent to a second term. 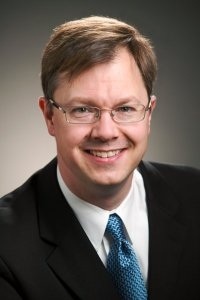 Incumbent backbench PC MLA Tony Vandermeer was elected in 2008 by defeating NDP MLA Ray Martin by 337 votes (Mr. Martin is now the federal NDP candidate in Edmonton-East). Mr. Vandermeer also served as the PC MLA for Edmonton-Manning between 2001 and 2004. The NDP have nominated teacher Deron Bilous, who was his party’s candidate in Edmonton-Centre in the 2008 election. First-term PC backbencher Janice Sarich made the transition from Catholic School District Trustee to MLA in 2008, snatching this seat from Liberal MLA Bill Bonko by 682 votes. Mrs. Sarich’s victory marked the first time that the PCs elected an MLA in this area since 1982. The Liberals have yet to officially nominate their candidate, but Zack Siezmagraff has started his campaign to reclaim the constituency for his party. The NDP have nominated Sheriff Ali Haymour as their candidate. Mr. Haymour was his party’s 2008 candidate in the neighboring Edmonton-Castle Downs, where he earned 9.6% against incumbent MLA Thomas Lukaszuk. 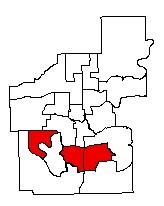 Edmonton ridings with nominated Liberal candidates (as of March 1, 2011). Incumbent Liberal MLA Hugh MacDonald is expected to seek re-election in the constituency he has represented since 1997. The only nominated challenger is New Democrat Marlin Schmidt, who is also President of his party’s electoral district association in the federal riding of Edmonton-Strathcona. Mr. MacDonald could face another dog-fight with his 2008 PC challenger David Dorward, who built a substantial amount of name recognition after his unsuccessful Mayoral bid in 2010. Another swing-riding, first-term PC backbencher David Xiao could face of against nominated former Liberal MLA Mo Elsalhy, who represented the constituency from 2004 until 2008. Mr. Elsalhy sought the Liberal leadership in 2008, placing third and has announced that he will stay out of the current contest. Elected as a PC in 2008, Dr. Raj Sherman became an Independent MLA after being kicked out of the PC caucus in November 2010. Dr. Sherman has used his position as a vocal critic of the PC government’s record on health care to become a sort of political folk hero for Albertans, but recent comments have rubbed off some of his political shine. The constituency has been represented for most of the past 20 years by Liberal MLAs, most recently Maurice Tougas until 2008. Notwithstanding that party’s long history in the constituency, it has yet to nominate a candidate for the next election. Local Wildrose constituency President Rick Newcombe has expressed an interest in being his party’s candidate, but has yet to official declare his intentions. Former Liberal MLA Weslyn Mather will attempt to reclaim the constituency she lost to PC Carl Benito in 2008. 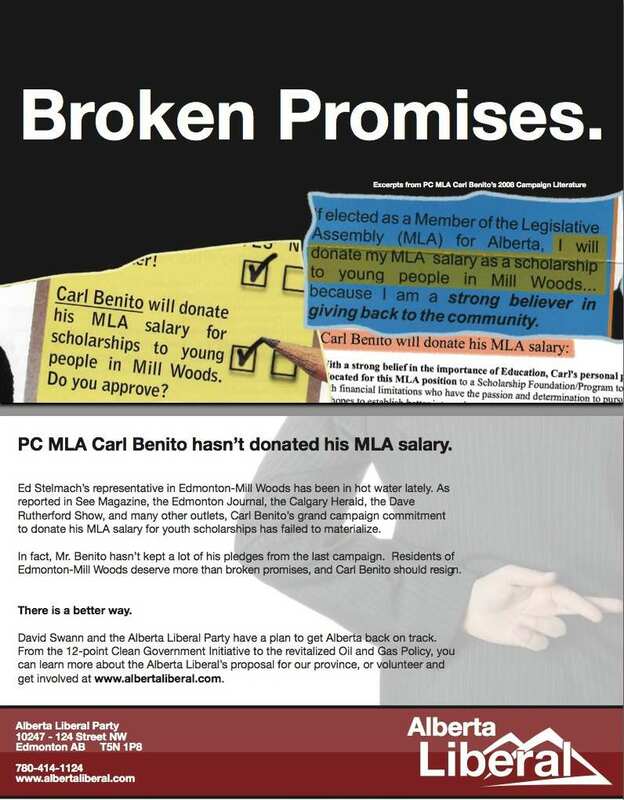 Since being elected, Mr. Benito has become the source of amusement/ridicule for his strident support of Alberta’s official mushroom, his broken promise to donate his entire MLA salary to a scholarship fund, and his publicly blaming his wife for not filing his property taxes for two years. The NDP have nominated AUPE Vice-President Sandra Azocar as their candidate and are hoping that former Liberal-represented middle-class constituencies like Mill Woods are places that they can grow. 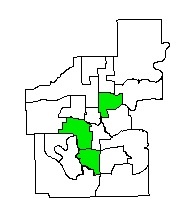 Edmonton ridings with nominated Wildrose candidates (as of March 1, 2011). The retirement of three-term Liberal MLA Kevin Taft will leave big shoes for candidates in this constituency to fill. I spoke with 2008 PC candidate Wendy Andrews at last week’s Speech from the Throne and she told me that she was still undecided about whether she wanted to run again. The Liberals have yet to hold a nomination meeting and the only candidate to publicly declare interest is consultant and Rotarian Arif Khan. I have heard rumors that former Public School Board Trustee Don Fleming may be interested in seeking the nomination. The NDP will nominate College of Social Workers coordinator Lori Sigurdson and are hoping that the votes MP Linda Duncan received in this area can be translated provincially. The Wildrose Alliance have nominated John Corie. With three challengers already nominated, first-term PC backbencher Fred Horne has his work cut out for him. His main challenger at this point is former Liberal MLA Rick Miller, who represented the constituency from 2004 until 2008 when he was unexpectedly unseated by Mr. Horne. Mr. Miller has stayed involved in politics since 2008 as the Chief of Staff for the Liberal Official Opposition. The NDP have nominated Melanie Samaroden as their candidate and the Wildrose have re-nominated their 2008 candidate Kyle McLeod. An overview of nominations in Calgary constituencies will be posted later this week. This entry was posted in Alberta Politics and tagged Ali Haymour, Arif Khan, Bill Bonko, Carl Benito, David Dorward, David Eggen, David Xiao, Deron Bilous, Don Fleming, Doug Elniski, Fred Horne, Hugh MacDonald, Janice Sarich, Kevin Taft, Kyle McLeod, Linda Duncan, Lori Sigurdson, Marlin Schmidt, Maurice Tougas, Melanie Samaroden, Mo Elsalhy, Raj Sherman, Ray Martin, Rick Miller, Rick Newcombe, Sandra Azocar, Thomas Lukaszuk, Tony Vandermeer, Wendy Andrews, Weslyn Mather, Zack Siezmagraff on February 28, 2011 by Dave Cournoyer. the wildrose’s new hired gun. The Wildrose Alliance is bolstering their staff in preparation for the next provincial election. Recent hire William McBeath left his position as Director of Operations for Minister Diane Finley in Ottawa to become the Director of Candidate Operations and Party Communications for the Wildrose Alliance. 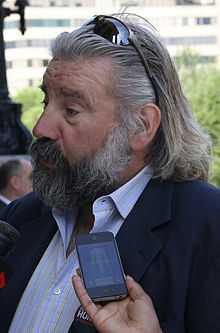 Although he spent some time in Ottawa, political watchers will remember Mr. McBeath from his time as Alberta Regional Organizer for the Conservative Party of Canada, as researcher for former Edmonton City Councillor Mike Nickel, and as an organizer for Ted Morton‘s PC leadership campaign in 2006. Mr. McBeath joins long-time Conservative Party organizer Vitor Marciano, who was hired as the Wildrose Executive Director in March 2010. The Wildrose Alliance has also attracted the support of two former Conservative Members of Parliament. Retired Edmonton-St. Albert MP John Williams and Westlock-St. Paul MP David Chatters are supporting Barrhead-Morinville-Westlock Wildrose nomination candidate Link Byfield in his campaign against PC MLA Speaker Ken Kowalski. The Wildrosers will be holding a contested nomination meeting in the Liberal-stronghold of Edmonton-Riverview. Candidates John Corie and Chris Ozdoba will duke it out on October 21 for the chance to hold their party’s flag in the constituency represented by MLA Kevin Taft since 2001 (who is not seeking re-election). The Liberals have yet to announce a nomination date in Riverview, but rumours are circulating that retiring Public School Board Trustee Don Fleming is interested in seeking the Liberal nomination. Before Dr. Taft, the Riverview constituency was represented by current City Councillor Linda Sloan from 1997 to 2001. The Wildrosers have a head start in candidate nominations, but are not the only party holding nomination meetings. The Liberal Party nominated former MLA Weslyn Mather in Edmonton-Mill Woods last weekend and will be holding a nomination meeting in Edmonton-McClung on October 23. Former MLA Mo Elsalhy is expected to be acclaimed at the nomination meeting. The NDP have a contested nomination meeting in Grande Prairie-Wapiti scheduled for next week. Contestants Paula Anderson and John Friesen are probably participating in the first contested candidate nomination for the Grande Prairie NDP in recent memory. This entry was posted in Alberta Politics and tagged Chris Ozdoba, David Chatters, Diane Finley, Don Fleming, Jim Friesen, John Williams, Kevin Taft, Linda Sloan, Link Byfield, Mike Nickel, Mo Elsalhy, Paula Anderson, Ted Morton, Vitor Marciano, Weslyn Mather, William McBeath on October 6, 2010 by Dave Cournoyer. The Liberal Party will nominate its first candidate for the next election on October 2 in Edmonton-Mill Woods. According to an email from constituency President Paula Stein last week, former MLA Weslyn Mather is the only candidate to have declared their intention to seek the nomination. The Liberals held Mill Woods under MLA Don Massey from 1993 to 2004 and under Mrs. Mather from 2004 until 2008, when she was defeated by PC candidate Carl Benito. Since becoming MLA, Mr. Benito has become the centre of controversy after he reneged on his election promise to donate his entire salary to a scholarship fund. The Liberals have placed Mill Woods in their key target constituencies in the next election and recently flooded the constituency with volunteers to remind voters of Mr. Benito’s promise. The Wildrose Alliance will claim that they are a lot different than the Progressive Conservatives, but a quick glance at their caucus staff list reveals that a number of former PC caucus staffers are now employed by the tiny insurgent conservative caucus. 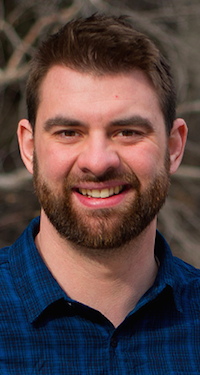 Brock Harrison worked in the research and communications branch of the PC caucus until he recently joined the Wildrose caucus as their Communications Co-ordinator. Wildrose Legislative Assistant Jeffrey Trynchy was previously employed as a Legislative Assistant in the PC caucus. 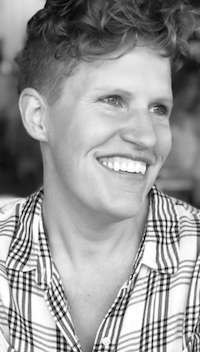 Shannon Stubbs, Staff Coordinator for the Wildrose Alliance Caucus is the former VP Organization of the PC Party and was a candidate in 2004. Is it simply legislative housekeeping or an agenda to increase the role of privatized medicare in Alberta? Edmonton-Rutherford PC MLA Fred Horne‘s travelling committee released a report last week that declared the need to ‘putting people first.’ Instead of including the mixed reviews that were voiced at the public consultation meetings, Mr. Horne’s report focuses on motherhood and apple pie. There are some good points in the report, but it is clear that this report is an exercise in the Tories reporting what they wanted to hear. NDP leader Brian Mason is setting off on a mission to Earn Your Trust in a fall province-wide tour where he will make a series of policy announcements on fiscal responsibility, the economy, and health care. This entry was posted in Alberta Politics and tagged Brian Mason, Brock Harrison, Carl Benito, Don Massey, Fred Horne, Jeff Trynchy, Paula Stein, Shannon Stubbs, Weslyn Mather on September 19, 2010 by Dave Cournoyer. 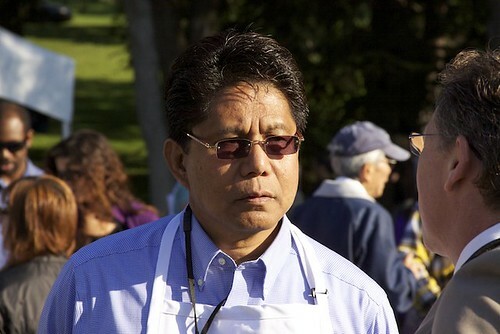 john carpay to run wildrose, liberals target carl benito. The Wildrose Alliance has attracted its first candidate who I would describe as at least having “medium-profile” presence among Alberta’s political wonk class. Current Constitution Foundation lawyer and former Canadian Taxpayers Federation Director John Carpay announced in today’s Calgary Hearld that he intends to challenge Calgary-Lougheed Progressive Conservative MLA Dave Rodney as a Wildrose candidate in the next election. Mr. Carpay’s Calgary Herald mini-essay decried the PCs for a long grocery list of conservative pet issues. This is not Mr. Carpay’s first attempt at elected office. As a Reform Party candidate in 1993 he unsuccessfully challenged New Democrat Member of Parliament Svend Robinson in the Burnaby-Kingsway riding. Along with the predictable Taxpayer Federation issues that end up on the public record, in 1994, Mr. Carpay penned an opinion-editorial in the National Post which criticized Premier Ralph Klein for not invoking the Notwithstanding Clause to block the Supreme Court decision which forced Alberta to include protection of homosexuals from discrimination. 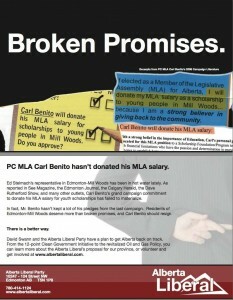 In the capital city, the Liberal Party is targeting Edmonton-Mill Woods PC MLA Carl Benito in a weekend pamphlet drop. Mr. Benito’s actions (or lack thereof) have quite possibly made him the lowest-hanging fruit in the PC caucus and the Liberals hope to capitalize on that. Former MLA Weslyn Mather intends to seek the Liberal nomination in that riding and many Liberals are hoping that this call to action could spark a fire that will help the Liberals win back a few of the eight Edmonton-area constituencies they lost in the 2008 election. While the Liberals are facing a lot of serious internal challenges of their own, there is little evidence to suggest that Edmonton will be less electorally competitive as it traditionally has been. Word on the street is that long-time Calgary federal Liberal organizer Pat Raymaker will be appointed campaign co-chair as her party prepares for the next election. I am told that the Liberals are having a more challenging time finding an Edmonton co-chair and that David Swann‘s Calgary-heavy brain-trust is having a difficult time tapping into the traditional base of loyal Edmonton lawyers and business people which their party have depended on for such roles in the past. With Kevin Taft‘s retirement, the Liberals could be entering the next election with only two incumbent MLAs in Edmonton (assuming that Laurie Blakeman and Hugh MacDonald seek re-election). The presence of three to five former Liberal MLAs seeking a comeback could buoy their chances in the city, but the absence of an Edmonton-area leader for the first time since the 1970s could have an effect on that party’s support in the capital city. Even if Mr. Benito’s promise contributes to the defeat of Edmonton PC MLAs in the next election, the political environment is too fluid to assume that the Liberals will be the main benefactor as they were in the 2004 election. This entry was posted in Alberta Politics and tagged Carl Benito, Dave Rodney, David Swann, Hugh MacDonald, John Carpay, Kevin Taft, Laurie Blakeman, Pat Raymaker, Svend Robinson, Weslyn Mather on August 18, 2010 by Dave Cournoyer. staging a political comeback in alberta. With a number of former MLAs having declared their intentions to seek their party candidacies in the next election (David Eggen, Rick Miller, Weslyn Mather, and Mo Elsalhy), I thought it would be interesting to take a look at other former MLAs who launched successful and not so successful comeback attempts. By my count, thirteen former MLAs have attempted a comeback since the 1997 General Election, meaning that most former MLAs stay former. Of this group only six have successfully returned to the Assembly. This entry was posted in Alberta Politics and tagged Albert Ludwig, Alex McEachern, Andrew Beniuk, Broyce, David Eggen, Don MacDonald, Len Bracko, Mo Elsalhy, Nancy MacBeth, Pam Barrett, Paul Hinman, Ray Martin, Rick Miller, Terry Kirkland, Tony Vandermeer, Walter Szwender, Weslyn Mather on August 17, 2010 by Dave Cournoyer. 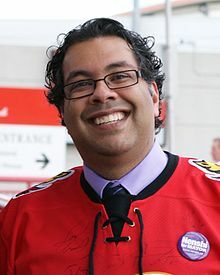 – Naheed Nenshi is in the race for Mayor of Calgary. Mr. Nenshi joins MLA Kent Hehr, Alderman Ric McIver, Alderman Joe Connelly, and former MLA Jon Lord. Read CalgaryPolitics.com for up to the minute updates on the Calgary Municipal election. – Ward F candidate for Public School Board Michael Janz is kicking off his campaign with a free BBQ on May 30 (tomorrow) at the McKernan Community Hall. – Minister Dave Hancock is expected to soon release the “Inspiring Education” report. Edmonton Trustee Sue Huff shared her thoughts on the process conference last October. – One day he is filing a $2.8 million lawsuit against his former employer, the Edmonton Sun, and the next day columnist Kerry Diotte is seeking election to City Council. Mr. Diotte’s campaign team is said to include Gordon Stamp (Campaign Manager to Edmonton-East MP Peter Goldring) and former Councillor and perennial Mayoral candidate Mike Nickel (who was defeated by Don Iveson in 2007). – Alberta’s Resource Royalty structure has once again been changed as the Provincial Government gives up $1.5 billion in revenue. The changes made in 2007 were the chief criticisms made by the Wildrose Alliance of the governing Progressive Conservatives. They reacted with luke warm support of the changes. – Todd Hirsh, a senior analyst with ATB Financial, raises the question: could Greece become Alberta’s nightmare?. – “Maybe we need a good recession or a depression.” Former Premier Ralph Klein said he did not know how small business owners could address the province’s extremely high wage expectations. – Former Edmonton-Mill Woods Liberal MLA Weslyn Mather wrote a letter about her party in yesterday’s Edmonton Journal. – Some people are starting to notice the “election-like campaigns” that politicians are engaging in this summer (Energy Minister Ron Liepert described the recent Cabinet Tour as an “election tour“) Is it a sign of an early 2011 election? – While her party may have shunned cooperation in the next provincial election, NDP Research Director and Public School Board candidate Sarah Hoffman engaged a friendly crowd at a fundraiser for Edmonton-Gold Bar Liberal MLA Hugh MacDonald this week. This entry was posted in Alberta Politics and tagged Dave Hancock, Don Iveson, Gordon Stamp, Hugh MacDonald, Joe Connelly, Jon Lord, Kent Hehr, Kerry Diotte, Michael Janz, Mike Nickel, Naheed Nenshi, Peter Goldring, Ralph Klein, Ric McIver, Ron Liepert, Sarah Hoffman, Sue Huff, Todd Hirsh, Weslyn Mather on May 29, 2010 by Dave Cournoyer. Trying to gauge how rough this last week was for the Liberal Party in Alberta, I attended last night’s Town Hall meeting hosted by the Edmonton-Glenora Liberal Association at Robertson-Wesley United Church (which is actually in Edmonton-Centre). It was a fairly typical political gathering, with most of the around 50 attendees in the +50 age range, but there were some interesting parts of the evening. – The hot topic of the week was barely even mentioned and did not appear to be on anyone’s radar. See Maurice Tougas‘ SEE Magazine column. – Former Glenora MLA Bruce Miller was there, as was current Edmonton-Riverview MLA Kevin Taft, and former MLAs Weslyn Mather and Jack Flaherty. – The Liberals will roll out five new policy positions over the next six months focusing on health, economy, environment, and clean government. – After the Reverend Miller’s narrow defeat to Tory Heather Klimchuk in the 2008 election, the Glenora Liberal Association went dormant. I am told that many of the constituency organizers who had been around since Howard Sapers was first elected in 1993 were burnt out and moved on. More recently, the constituency executive has been reborn and reorganized by a group of young professionals who have begun hosting meetings, fundraising, and growing the local membership. – There was a lot of talk about vote-splitting and the announcement by former Edmonton-Calder MLA David Eggen that he will be seek the NDP nomination in the newly redrawn Glenora constituency. Supporters of the Democratic Renewal Project were present and spoke for the need for Liberals to work with the NDP so not to split the vote. Though there were some sympathetic ears in the room, the majority of the attendees appeared to oppose the idea (not surprising for a room full of partisans). This entry was posted in Uncategorized and tagged Bruce Miller, David Eggen, David Swann, Heather Klimchuk, Howard Sapers, Jack Flaherty, Kevin Taft, Maurice Tougas, Weslyn Mather on April 16, 2010 by Dave Cournoyer.